Instead of searching your garden for Easter eggs this year, how about searching for real eggs? 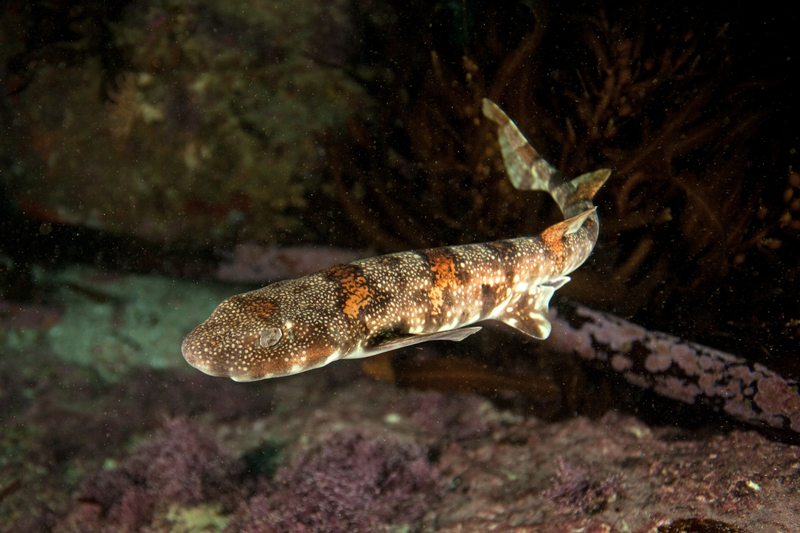 I don’t mean the foil wrapped, delicious chocolate ones or even the eggs laid by hens, the eggs I’m referring to actually come from underwater creatures, such as sharks, skates and chimaeras. 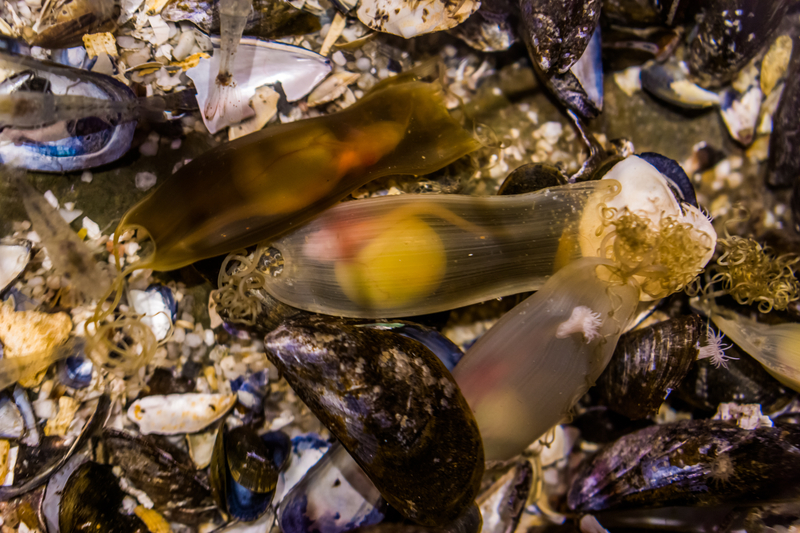 The mother lays these live eggs (a method of reproduction known as oviparity) on sand or attaches them to an existing structure in the environment, for example, a kelp frond. The embryos inside the eggs are then left with no parental care and the hatchling must fend for themselves once hatched. These come in a variety of forms, depending which species has laid them. 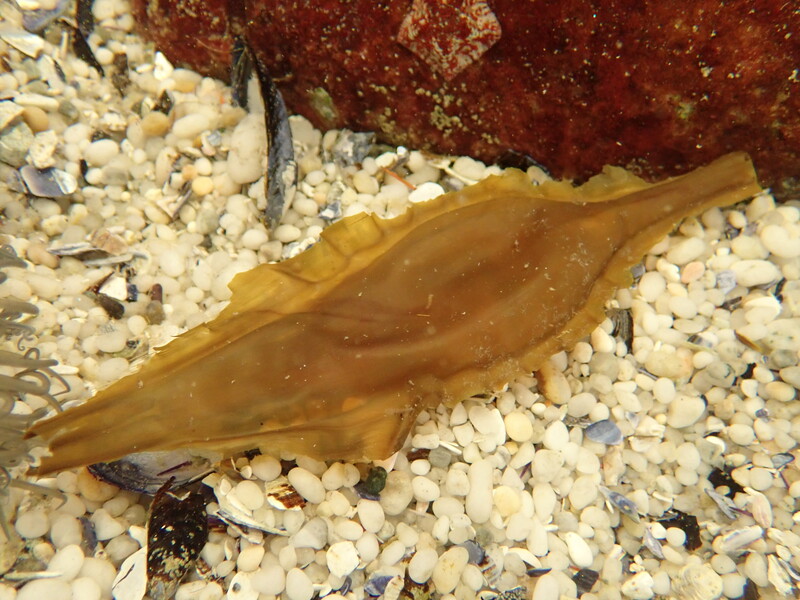 In False Bay, the most common shark eggcases to wash up on our shores come from Puffadder, Dark or Light shysharks. 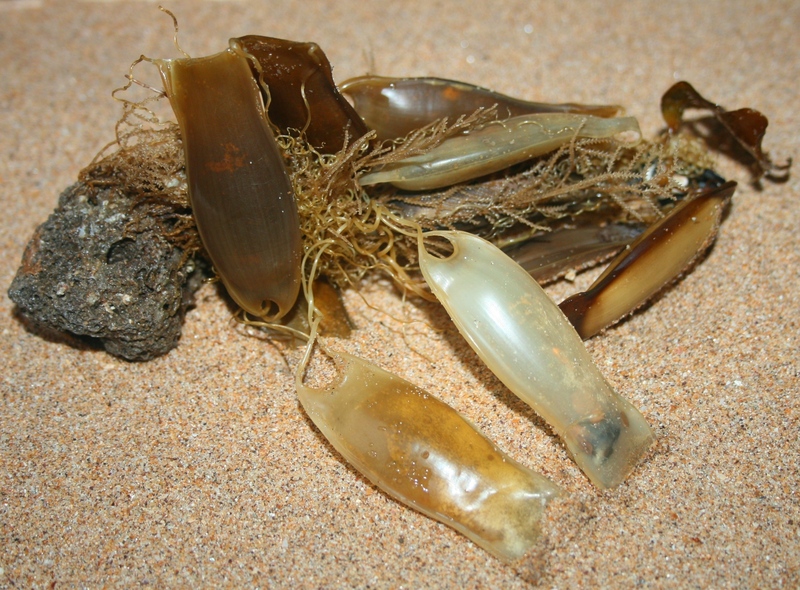 Most of the time when eggcases wash up on the beach or rocky shore, these are empty with the baby animal having hatched already, or it has been opened by a predator, in which case you may find holes in the leathery pouch. 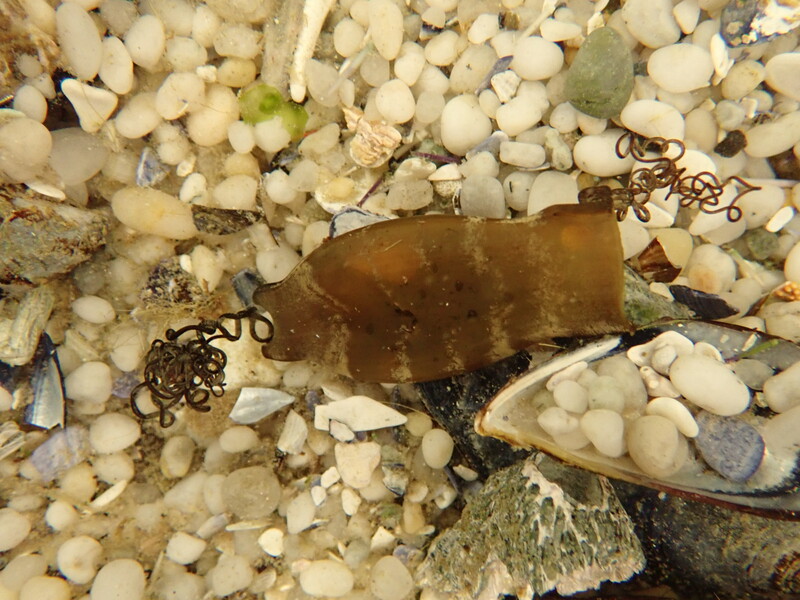 However, sometimes, these eggcases are found in shallow water with a live animal inside. If you find one of these, please do not remove it from the water. 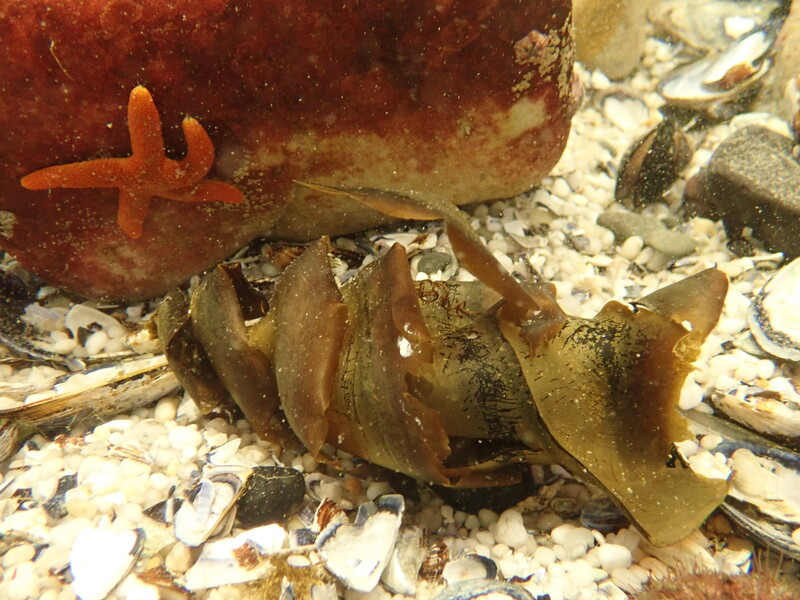 If you are exploring the coast this Easter holiday (outside of a no-take zone) and come across a dried (and empty) eggcase, you can place it in a bowl of fresh or seawater to rehydrate it. This will help you identify the species which laid it. 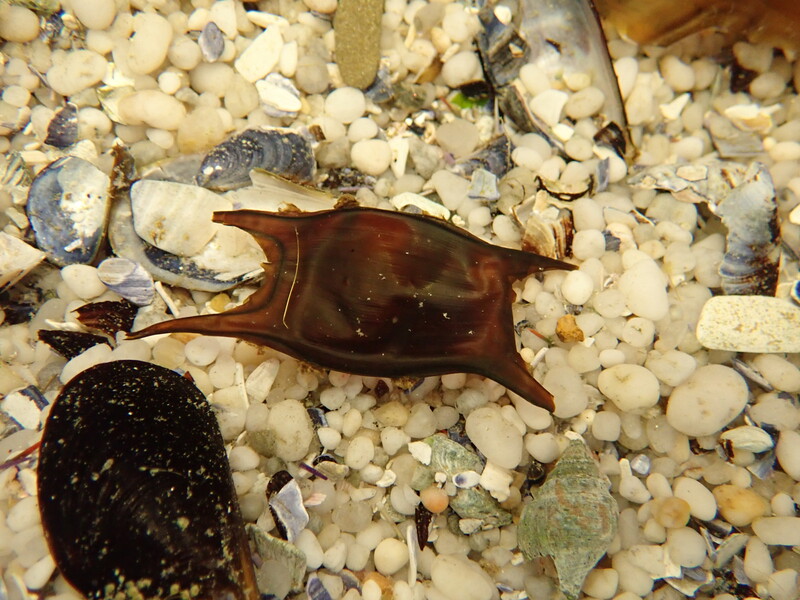 Happy eggcase hunting!